Richard Paullin has extensive international business and management experience, including six years residence in Japan during the 1970s as a consultant to Japanese trading companies. In August 2005, Mr. Paullin was appointed Chief Operating Officer of the newly-formed Illinois Global Partnership. 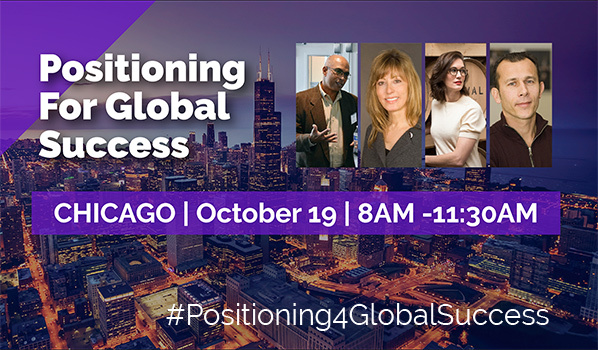 The IGP was created to focus private and public resources to build collaborative international partnerships and raise Illinois’ profile as a global center of commerce. Under his leadership, the IGP became strategic partners with the Overseas Private Investment Corporation (OPIC), Export-Import Bank of the U.S., and the first U.S. Private Sector Liaison Office for the World Bank Group. Since 1994, Mr. Paullin has been Executive Director of the International Trade Association of Greater Chicago, one of the largest and most active groups in the United States with nearly 600 small and medium enterprise (SME) members. He was first appointed to the Illinois District Export Council (DEC) in 1987 by the U.S. Secretary of Commerce. 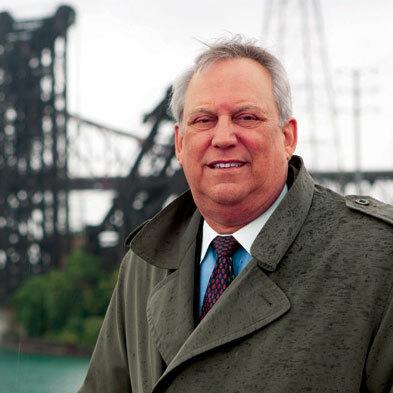 He is currently serving an eighth consecutive term; he has been Chairman of the Illinois DEC since 2000. Mr. Paullin served three term as the elected Midwest Representative to the National District Export Council Steering Committee from 2000-2009. In April 2004, Mr. Paullin was named Special Advisor on Manufacturing to the Under Secretary for International Trade, U.S. Department of Commerce. For the next year, he advised the Under Secretary on matters concerning the Department’s Global Supply Chain Initiative for SMEs and other matters pertaining to keeping American products competitive in overseas markets. In May 2000, Mr. Paullin received the Illinois Governor’s Export Award for Public Service. In November 2001, he represented the President’s Export Council as a Cleared Advisor to the U.S. Trade Representative at the Fourth WTO Ministerial Conference in Doha, Qatar. From January 1988 to September 2004, Mr. Paullin was a member of the Adjunct Faculty for the International Business Program at Oakton Community College, Des Plaines, IL. In 1993 he was appointed to the Adjunct Faculty at the Graduate School of Business, College of Commerce, DePaul University. From 1983-1987, Mr. Paullin managed the Caribbean Basin Promotion Center at the Chicago Association of Commerce and Industry. During this period, the Center accounted for over $110 million in cumulative trade and investment deals for Costa Rica, the Dominican Republic, Guatemala, Haiti, Honduras and Jamaica. Much of Mr. Paullin’s trading and consulting activities have focused on the Pacific Rim countries, where he specializes in strategic planning, marketing and joint ventures for U.S. and Asian clients. He has conducted business in mainland China since 1988. Mr. Paullin also serves or has served on numerous public and private sector advisory boards; among them: Bretton Woods Committee; Chicago Committee of the Chicago Council on Global Affairs; Hong Kong Business Association of the Midwest; Policy Study Committee for the Illinois International Education Act, Illinois Board of Higher Education; MBA Executive Advisory Board, Lewis University; Advisory Committee to the International Business Program, Oakton Community College; Advisory Committee, Shanghai Science & Technology Museum Foundation.